When it comes to tenacity, grit and determination, I learned everything I need to know from Dr. Seuss. Yep, that’s right: Dr. Seuss. There’s a passage in one of his most famous books, “Oh, the Places You’ll Go!” that addresses the tenacity we all need to achieve what we want in life. “But on you will go, though the weather be foul. On you will go, though your enemies prowl. On you will go, though the Hakken-Kraks howl. Whether you’re attempting to do something for the first time or facing a longstanding fear, it takes determination and strength of character to simply press on through whatever the situation may be. I imagine that many runners are familiar with this; the feeling of wanting desperately to stop or just to settle in to something more comfortable. But most runners I know express a desire to push themselves: for a longer distance, a shorter time or a bigger race. That type of grit and tenacity will be on full display on Saturday, April 14, when we host our annual 5K race and fundraiser, the CASA Superhero 5K, at the Cain Center Phase II ball fields off Robbins Road in Athens. This important event raises funds and awareness for CASA and the important work that our volunteers do for children. The fun kicks off at 7:50 a.m. with our kids dash, and the chip-timed 5K begins right after, at 8 a.m. There will also be a shorter 1K fun run/walk around the Cain Center track. We hope you’ll join us on Saturday, April 14, to meet our sponsors and to support CASA, our volunteers and the determination they display in advocating for children in need. Because all children need heroes, but abused children need superheroes! “All children need heroes, but abused children need superheroes,” is the unofficial mantra of the CASA Superhero 5K, set for April 14 at the Cain Center Phase II ball fields. The 5K is the only annual event fundraiser for CASA of Trinity Valley, where those “superheroes” come in the form of community volunteers who advocate for the best interests of abused and neglected children. Volunteers from CASA, which stands for Court Appointed Special Advocates, served 808 children in Anderson, Cherokee and Henderson counties in 2017. 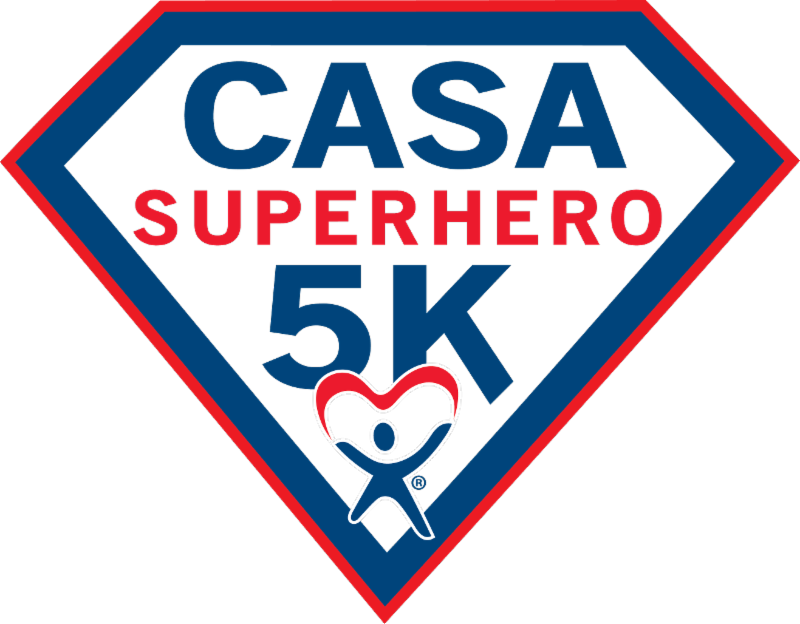 Early registration for the CASA Superhero 5K is currently available online. On-site registration begins at 7 a.m. Saturday, April 14, at the Cain Center Phase II ball fields off Robbins Road in Athens. The 5K run, with chip timing provided by Race Chip Timing of Frisco, kicks off promptly at 8 a.m., with an adult 1K walk following at 8:10 a.m.; a short “kids dash” for younger children will be held at 7:50 a.m., before the 5K begins. Participants are encouraged to arrive early to take part in all the festivities. An awards ceremony will follow the races. Also featured will be a balloon release honoring National Crime Victims’ Rights Week (April 8-14). Awards will be given in several age categories, and overall male and female winners will be announced. Registration fees for the 5K and 1K events are $25 each for adults and $15 each for children 12 and younger. Proceeds from the race will directly benefit CASA of Trinity Valley, a 501(c)3 nonprofit organization. Every year we hold our CASA Superhero 5K Race in April, in honor of National Child Abuse Prevention Month. Our 5K is just one of several events held in our community that focus on children's and victim's rights. Tuesday, March 27, 2018 at 6:30 pm Proclamation to be read at the City Council Meeting in Gun Barrel City. Friday, April 13 at 6:00 pm Butterfly release and proclamation reading by Mayor Jim Braswell at the Gun Barrel Pavilion in Gun Barrel City. Henderson County Help Center will offer t-shirts for sale along with the Henderson County Crisis Center. Tuesday, April 10 at 9:00 am Proclamation to be read at the County Commissioners Court. Tuesday, April 10 at Noon Butterfly release and proclamation reading on the square in Athens. T-shirts will also be available. Saturday, April 14 at 9:00 am Balloon release following CASA Superhero 5K Race at Cain Center Phase II ball fields in Athens. Saturday, April 14 at 11:00 am Butterfly release at the Chandler Softball Field Pavilion. 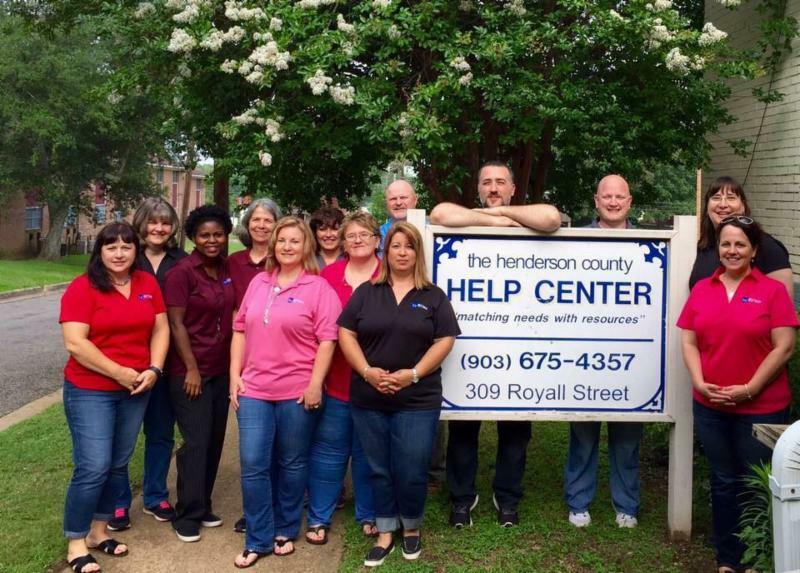 Henderson County Help Center will offer t-shirts for sale. As part of our recruitment initiative for 2018, we have begun placing banners in local banks and churches in Anderson County. It is our hope that more widespread visibility will help spread the word about CASA and encourage more people to consider becoming volunteers. If you know of a local establishment that might be willing to let us place a banner in their lobby, please let us know by calling 903-675-7070. Judge Jeff Doran (right) and CASA of Trinity Valley staff members welcome the nonprofit's newest volunteer advocates on Thursday, March 8, after their swearing-in ceremony in Palestine. Pictured (left to right) are casework supervisor Donna Crockett, CASA advocates Candace Meler, Sandra Teets and Caryl McBroom, casework supervisor Kristi Pickard, casework supervisor Lee McCain Brown, and Doran. These new volunteers will speak in court for the best interests of children pulled into foster care through no fault of their own. 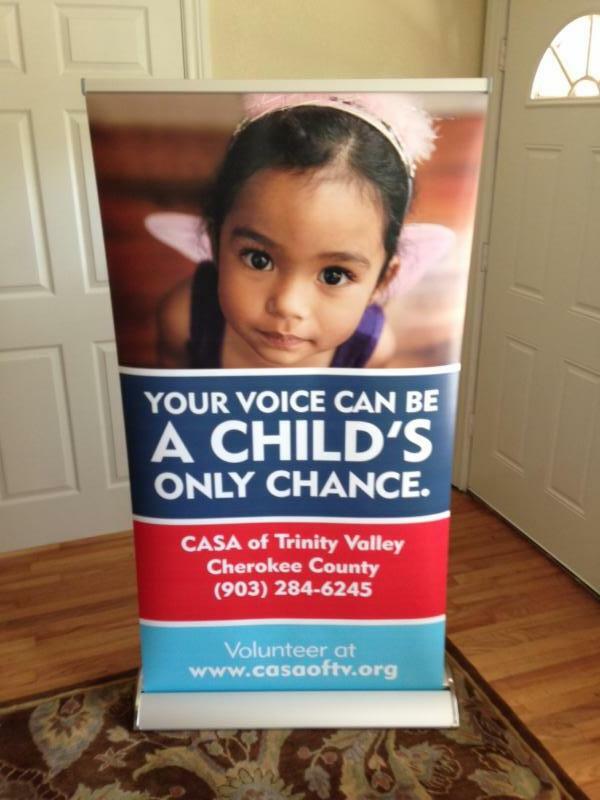 CASA of Trinity Valley serves Anderson, Cherokee and Henderson counties. To become a volunteer, visit www.becomeacasa.org . Welcome New Volunteer Laronda Spencer! 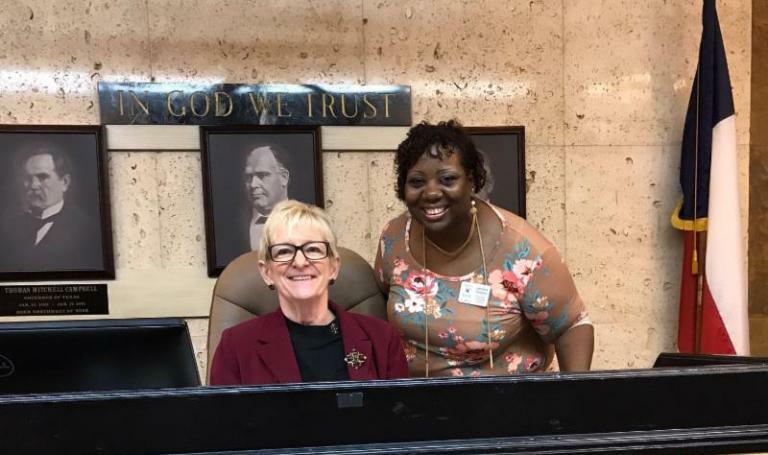 Judge Virginia Schnarr (left) welcomes CASA of Trinity Valley's newest Cherokee County volunteer, Laronda Spencer, after swearing her in this morning at the courthouse in Rusk. Thank you, Laronda, for serving our children! Join a CASA Legislative Advocacy Team! Is working a case not for you, but you still want to help? There are other ways to support CASA that are just as valuable to us as casework, one of which is being part of a Legislative Advocacy Team! 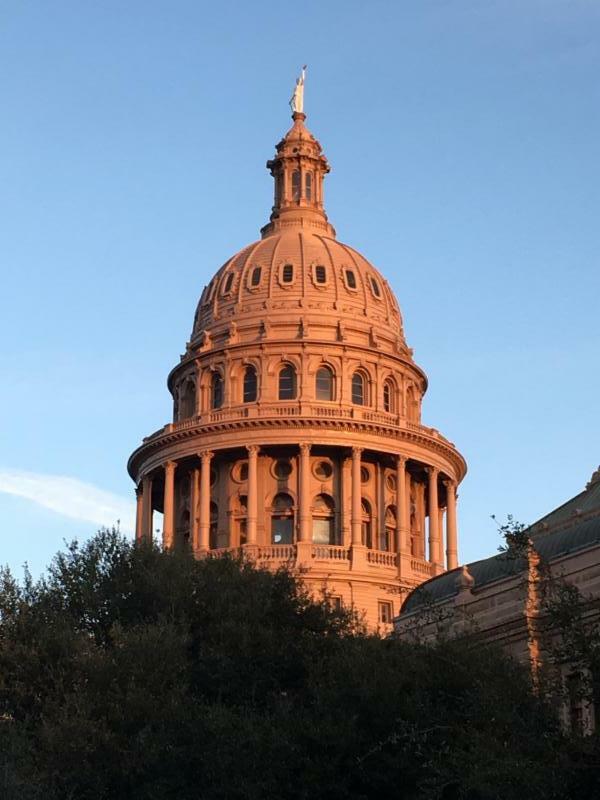 There are currently 26 CASA Legislative Advocacy Teams (LATs) in Texas that work with Texas CASA and their local CASA programs to develop and promote policy agendas to improve the child welfare system. 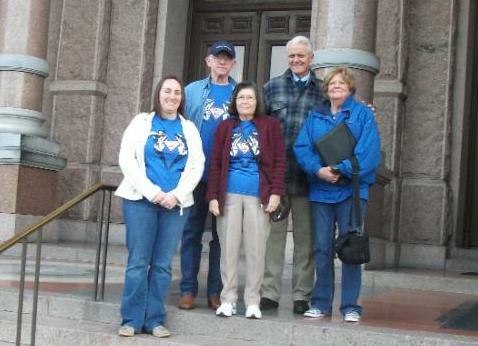 These LATs are led by volunteer advocates and/or board members and work with staff liaisons in each CASA program to build relationships with legislators, develop policy agendas to improve the child welfare system with Texas CASA, and motivate and empower others in the local CASA program to advocate for those improvements. LATs may also submit written testimony or give oral testimony at legislative committee hearings. By sharing their experiences, they are able to give a unique, personal perspective of the importance in changing the way the state cares for children. The CASA of Trinity Valley LAT is chaired by Roy Talbot, for more information contact Roy at roy_h_talbot@yahoo.com. 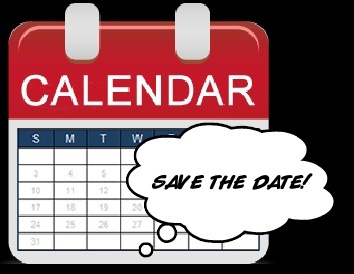 The 2018 Legislative Advocacy Team Retreat is scheduled for the evening of Friday, Aug. 17, and all day Saturday, Aug. 18. Both events will take place in Austin. 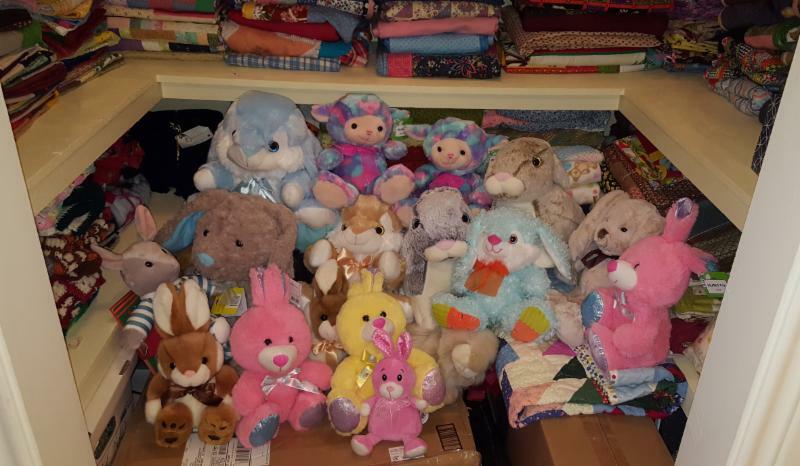 "Blessing of the Bears (and Bunnies!)" 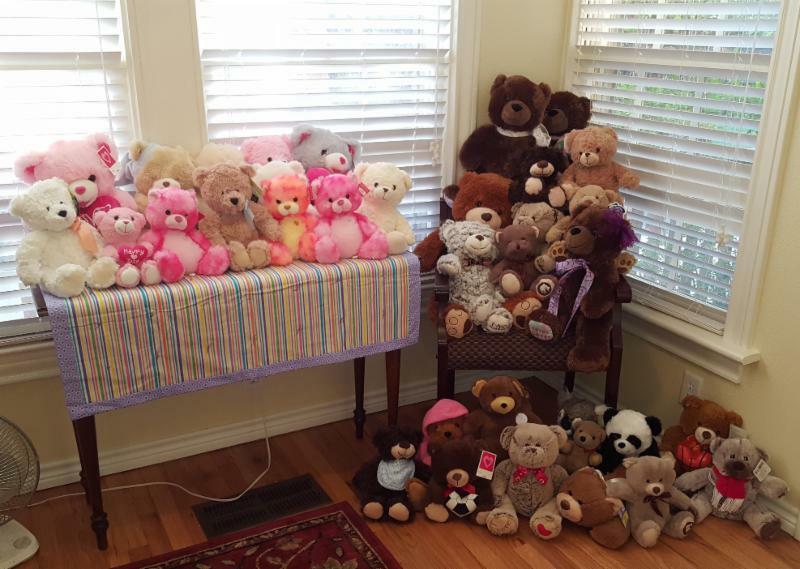 On Sunday, March 18, the United Methodist Church of Frankston held their annual "Blessing of the Bears" for CASA. Members of the church bring stuffed animals to be blessed and then donated to the children served by CASA of Trinity Valley. We are so grateful for their generosity and kindness! We encourage all of our volunteers to stop by our Athens office to pick up a stuffed animal for their CASA kids. Saturday, March 24 from 11:00 to 4:00: Alzheimer’s Coalition All You Can Eat Chili, Soup, Stew Fundraiser at Bethel Christian Church in Athens. Thursday, March 29 from 9:00 to 6:00: Masquerade Marketplace at ETMC Cafeteria in Athens, benefiting the Auxiliary Scholarship Fund. Saturday, March 31 from 4:00 to 7:00: Mad Hatter Wine & Cheese Social Benefit for The Rebecca Project at Tara Vineyard & Winery in Athens. 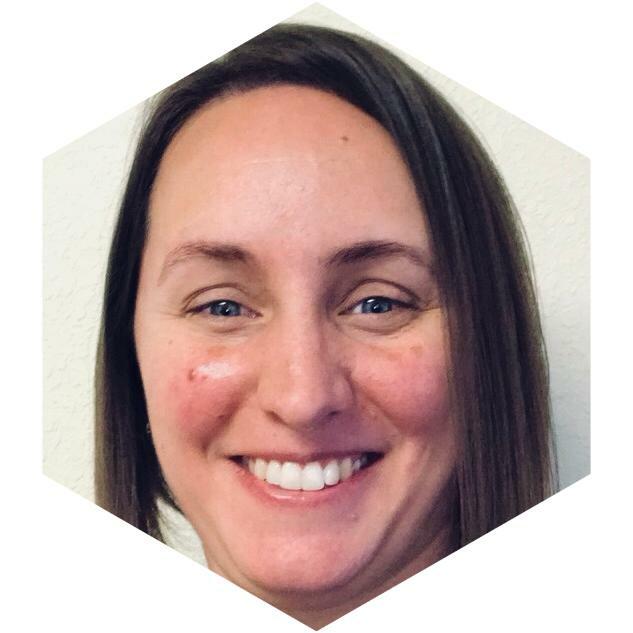 Thursday, April 12 at 5:00 CASA of Trinity Valley Executive Director Emily Heglund will be speaking to KCKL Radio about our Superhero 5K Race. Friday, April 13 from 10:00 to 1:00 14 th Annual Community Health Fair at the TVCC Palestine Mall. 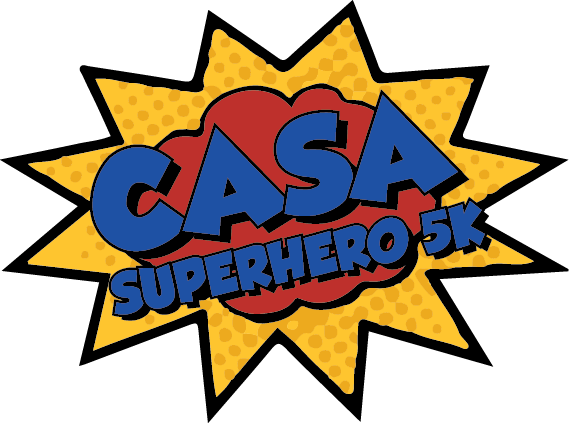 Saturday, April 14 from 8:00 to 11:00 CASA 5K Superhero Run at Cain Center Phase II ball fields in Athens. Proceeds benefit foster children in Henderson, Anderson and Cherokee Counties. Wednesday, April 18 from 9:00 to 1:00 “Fostering Futures” Class at the CASA of Trinity Valley office in Athens. 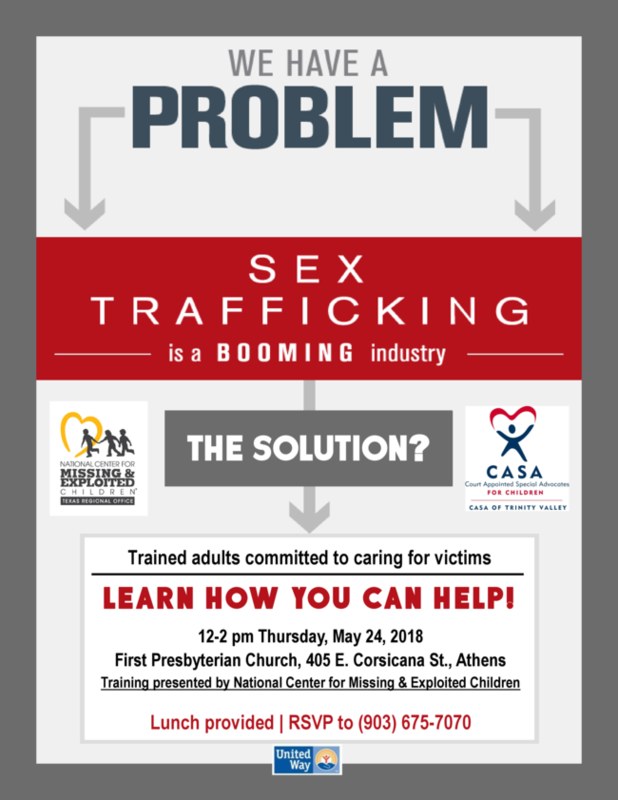 Open to all CASA volunteers and staff. Tuesday, April 24 from 10:30 to 2:00 East Texas Giving Day Celebration on the Square in Athens. Friday, April 27 and Saturday April 28 Gun Barrel Quilter’s Guild Presents: Carnival of Quilts at the CR Legacy Event Center in Gun Barrel City. Friday, April 27 and Saturday April 28 Annual Henderson County Go Texan Rodeo at the Henderson County Regional Fairpark Complex in Athens.